One of a kind, unique property! Completely renovated down to the studs and foundation, this is a better than new home essentially built in 2016 and is move in ready! No detail has been overlooked in this home, from landscaping and Icynene insulation, to custom wrought iron return air vents and custom cabinets with slow close drawers in the kitchen. Everything about this home says quality craftsmanship and attention to detail. Located on the main level, the master bedroom and bathroom offer complete privacy with the ability to close the sliding barn door, creating a true on-suite. Equipped with Nest thermostats, this is an extremely energy efficient home averaging about $60/month in utility bills. Desirable cul de sac lot with generational privacy, as the 100+ acres behind the property is locked in a trust and will not be developed (see aerial photo). 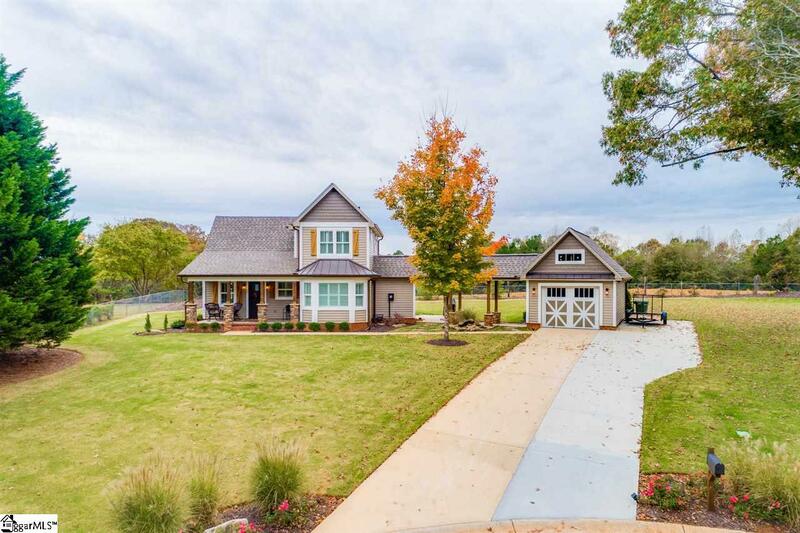 Enjoy outdoor living and entertaining with a large screened in porch and immaculate grounds including two water features, completely sodded yard, and a full yard irrigation system. You will find plenty of extra storage in the garden shed in the back corner of the yard. All appliances to convey with sale. This is a great opportunity for someone looking to simplify their life but still enjoy high end, quality finishes. Don't miss your opportunity, schedule your appointment today! Listing provided courtesy of Joshua Moore of Bhhs C Dan Joyner - N. Pleas.